Yeah yeah, I know. I still have commissions to do. This will be a side project for warm ups when taking on more complex projects. Also I need to practice in sequential art. I also feel Lucine and Evelyn is a good start for something like this since I have their characters and backstories more thought out then the others. 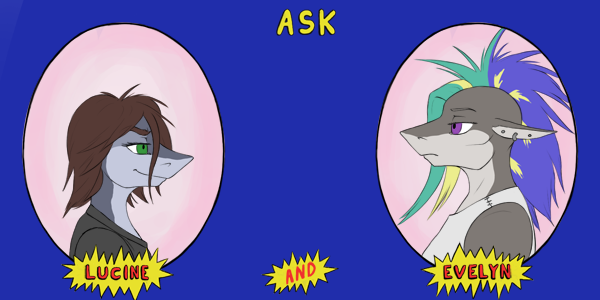 I might make most ask blogs later, but for now I'm sticking with these two.